The song choices for the contestants taking part in the final of X Factor 2014 have been revealed. Andrea Faustini, Ben Haenow and Fleur East are the last 3 acts standing and will look to be crowned this year's X Fsactor winner this weekend and they opened up to Heatworld about what songs they would be singing come final night. 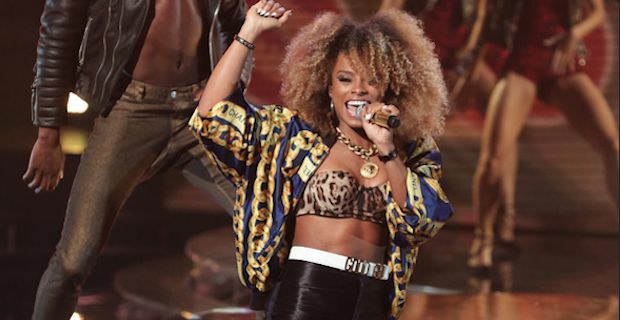 Fleur East wowed everybody at the semi final stage with her rendition of Uptown Funk by Mark Ronson and Bruno Mars. It will come as no surprise to her fans that the 26 year old femme fatale will try to recreate some of that magic again for the final. Immediately after her semi final fireworks, Fleur tweeted "WOW. I CAN'T BELIEVE THAT JUST HAPPENED. Thank you so much - wanna get to the finals now... Need your votes PLEASE!". Careful what you wish for! Haenow's got to song will be Michael Jackson's Man in The Mirror that he performed so well back in week 5. The judges, besides Mel B, were left stunned with Louis gushing "Ben Haenow. Wow wow. You took probably the most iconic Michael Jackson song and you sang it a cappella! That is a real musician." Faustini will try to nail down the magic that he seemed to conjure when he performed another Michael Jackson classic, Earth Song, which he performed to perfection way back in week 1. He was given a standing ovation by all in the arena and Mel B declared him the winner of this year's competition at an incredibly early stage. You can see who wins out in the X Factor final this Saturday and Sunday, the 13th and 14th, on ITV.